This morning I couldn’t get out of bed – the cozy wool blankets and the space heater made the ascent all the more difficult. I finally got up and ventured to the eating area where I had breakfast with Rick and the staff. We ate quickly and gathered up our things for the day. 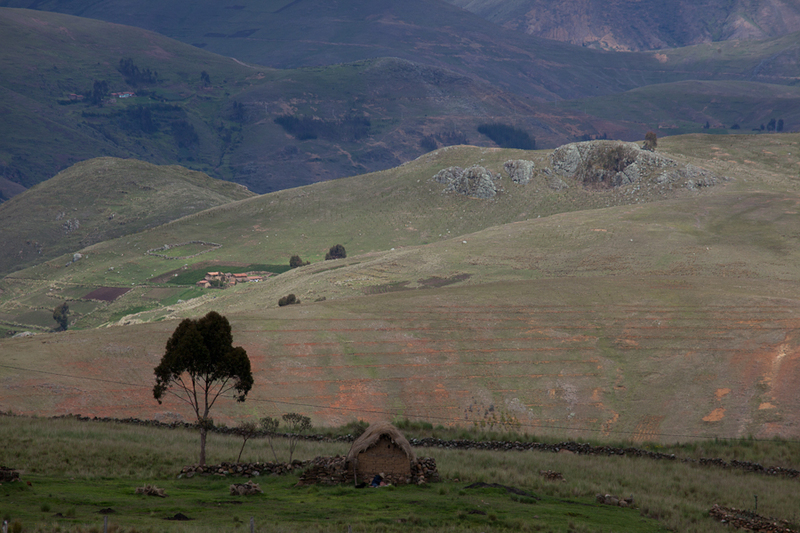 Our first stop was Upis, a small Andean community of around 130 people. As we drove towards the community, I was overwhelmed by the beauty of the surroundings – in some ways it reminds me of Ireland – stone fences, green pastures, and rolling hills. In other ways, it is a foreign landscape – when the clouds open up you are surrounded by snow-capped peaks on all sides. The women and men here look like colorful birds – all decked out in neon colors and sequins. 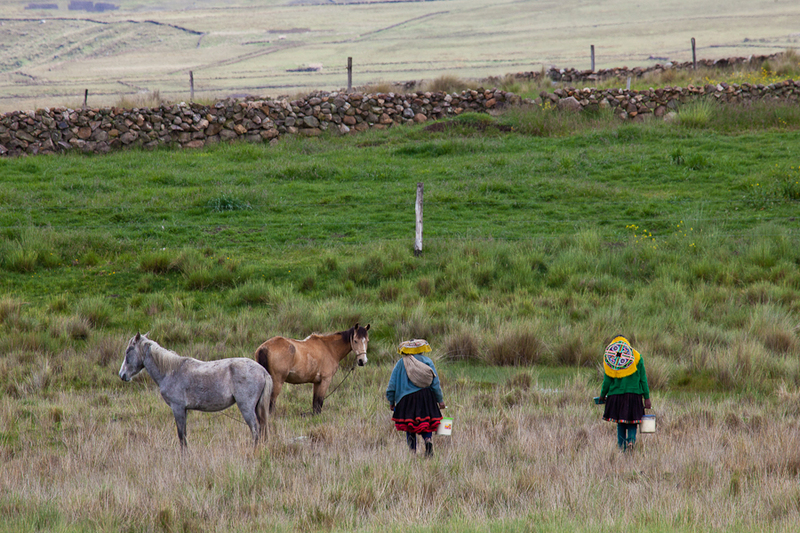 In Cusco I have often seen people in traditional dress and wondered if they were dressing up the traditional costume. They are not. Up here, with no one to see but the neighbors, the women are attired in the most splendid patterns and colors from head to foot. The men also wear colorful clothing, some only hats and others in full regalia – ponchos, hats, and wraps. We arrived at Upis right before an artisan’s meeting and I shook hands with what I believe was the entire town. Rick went off birding while I visited with the heads of the artisan community and conducted three video interviews. I took photos and learned about the Ausungate trekking route – a six day/five night trek that takes you to five communities in the area. Through the help of iSUR, three of the communities now have hot showers and bathrooms. After the interviews that women and men laid out all of their crafts and artwork on the ground for me to see. I took a few pictures and then asked if they could explain the significance of some of the designs. They spent over an hour telling me about the colors and designs and I bought an alpaca scarf and an alpaca cloth that they use to carry coca leaves in the mountains. After Upis we returned to the worksite for lunch and ended up being rained in for the afternoon. We spent the evening working on photos and relaxing. It is very tiring to work at this altitude and I find myself wearing out very easily. 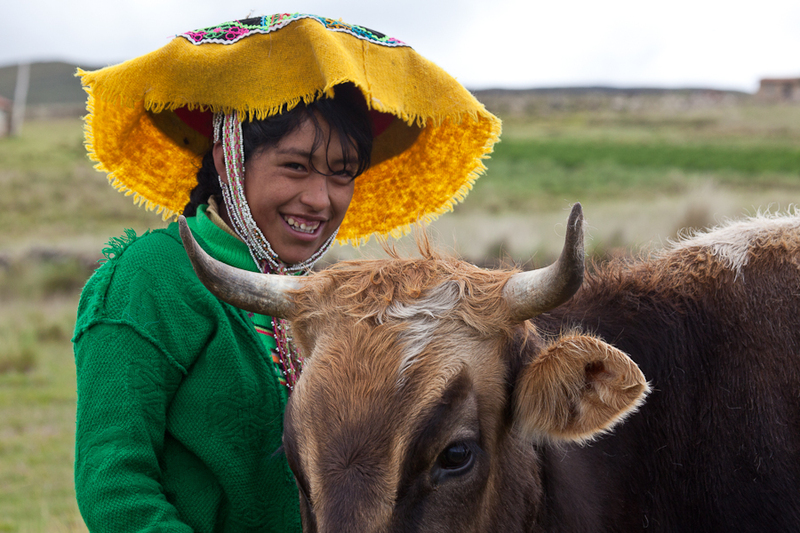 I also worked with Herman for two hours on the videos – we translated three videos from Quechua to Spanish. It was nice to actually learn what they had been saying! Tomorrow we go to Marcapata for an all day tour of the local attractions – the famous Marcapata church and the Huallahualla lagoon. 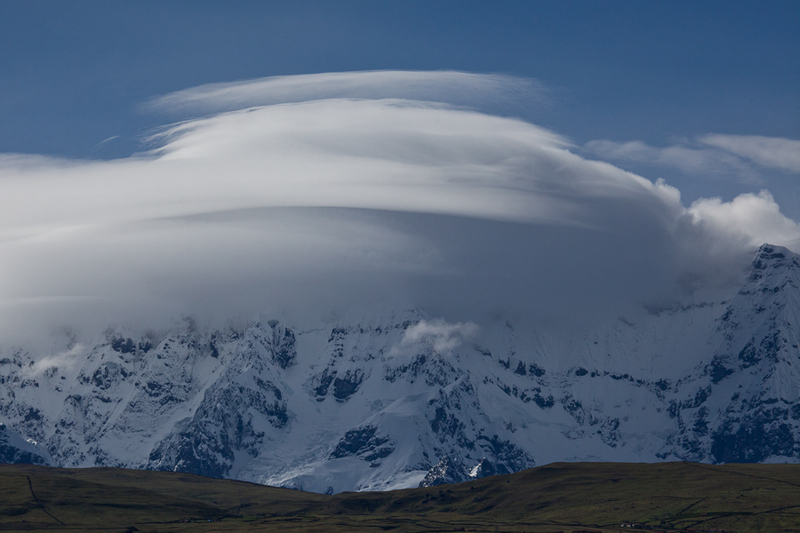 Lenticular cloud over Ausungate Mountain.